Disclaimer: The following post is in response to questions I have gotten about the beliefs of the LDS church, requested here. The purpose of my post is absolutely not in any way to offend, to prove anyone else's religion wrong, and it is definitely not to start a Bible-bash. It is simply and singly to explain the doctrines that Mormons live and to dispel some rumors and half-truths that cause so much controversy. If by any chance while you are reading my post you do start to feel offended, I truly apologize in advance as that is not my purpose. I suggest that you read the entire post. If, at the end, you still feel offended and uncomfortable, take your mouse to the little "x" in the corner of your window and click it. Zach: Thank you so much for being brave enough to post questions! I really appreciate you participating and letting me know a few of the many things people hear about our church. I'll start with your last question and work backwards. You asked: "Lastly, is it true that when a couple is wed in the LDS church, they are called to consummate the marriage before God immediately after? If so, does the congregation just wait or are there no receptions post LDS church marriages?" "And I will give unto thee the keys of the kingdom of heaven: and whatsoever thou shalt bind on earth shall be bound in heaven..."
Drawing from this scripture (and many more), we believe that families are forever. That what we started here on earth as husband and wife with sons and daughters will continue on and our relationships will last in heaven and through the eternities. Personally, I think that sounds a whole lot better than just "til death do you part." You asked: "Firstly, do you really have to lead a perfect life three times by getting into the seventh level of Heaven each time to get your own planet? Secondly, if that's the case how do you know that your life incarnate right now isn't someone else's reincarnation?" Now, lets talk about this planet business. I think that is the root of where the rest of this misconception comes in. The goal of a member of the Church of Jesus Christ of Latter Day Saints is not to get his own planet. His goal is to be as Christlike as he possibly can, to do everything he can so that he can be like God. I would think many members of many churches have that goal, that we all want to be as charitable as loving, as forgiving, as trustworthy, and all other virtues, as Christ is. We believe that it is through the atonement that we are able to achieve that goal, wasn't it Paul who said "I can do all things through Christ which strengtheneth me. "(Philippians 4:13)? Now the difference comes in when we talk about just how much like God we can become. How much like Christ can the atonement make you? 20%? 50%? 99%? How about 100%? Does Christ have the power to make you 100% like Him? Do we not read in the scriptures that he can do all things? We believe that we are sons and daughters of a Heavenly Father, of God. That we are his spirit children and that he loves us and wants us to come home to him. Think about this, when you have a baby boy, do you not want the child to grow up to be a man, like you are? Doesn't a duckling grow up to be a swan? So why wouldn't children of God eventually grow to be just like Him too? Some accuse that it is blasphemous for us to teach this. That it takes away from God's glory if we somehow become like him. But on the contrary, he is the one who is making us so. Remember, it is through the atonement that we can become Christlike. So doesn't it just add to his glory, the greater he makes us, the greater his glory? Does a teacher who teaches her students everything she knows, lose her standing because there are now others who know the same things? Or is she honored by it because she is the one who taught it to them in the first place? Just as a painter whose artwork, as it increases in quality and beauty, only magnifies the praise of the painter himself, the greater we become through God, the more we glorify Him. Again, the goal is to become as much like God as we can. To love as He loves, to know what He knows, to do what He does. So eventually, after many many eternities of progress as we work to become like Christ, and as the atonement works on us to make us so, we too will have the ability to create, as he created. "We believe in God, the Eternal Father, and in his Son Jesus Christ, and in the Holy Ghost." This accusation comes from the fact that we do not support the idea that God, Jesus Christ, and the Holy Ghost are actually all together one intangible being. We believe instead that they are three separate beings, but one in purpose, unified in their mission, their goal, their function (hence John 10:30 "I and my Father are one"). We draw this idea of three separate beings from many different scriptural references, one of which includes the baptism of Jesus Christ, where Christ is in the water, the Father is speaking from heaven, and the Holy Ghost descends as a dove. To us, it seems logical that they are three separate beings as they are in three separate places. However they are obviously "one" in the sense that they are all present and participating and testifying of the importance of baptism. But the point is, regardless of whether you believe that they are three separate beings with one purpose, or just one single being altogether, we still believe in Christ. We believe in the child who was borne of Mary, whose birth brought the praises of heavenly hosts and new star to the sky. The Christ who healed the sick, who gave sight to the blind, who caused the lame to walk and the dead to rise. We believe in the Christ who fed the 5,000, who turned water to wine, who walked on water. We believe in the Christ who suffered for our sins, our weaknesses, our temptations, and our trials in the Garden of Gethsemane. We believe in the Christ who hung on the cross and died so that we could return to live with him. We believe in the Christ who rose three days later as a resurrected being, and who lives today as our Lord and Savior and Redeemer of the world. Conclusion: Hopefully this helped you understand a few of the things we believe in our church, however this is in no way a comprehensive overview of the gospel we teach. We do believe in eternal families, in eternal progression, and in Jesus Christ as our Savior. But also believe in the Book of Mormon, in modern day miracles and revelation, in a living prophet on the earth today. We believe in the plan of salvation, in loving our neighbor, and in the resurrection. Thank you so much for taking the time to read my blog and learn a little about what makes me and so many others who we are. If you are confused about anything or have further questions, feel free to ask me! Or if you don't want to talk to me about it, I happen to know a few thousand boys out riding bicycles in suits that could help you out. 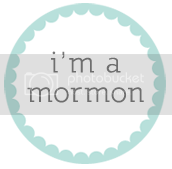 Don't forget to check out Sallie's blog where she answered her own Mormon FAQ's including questions on garments, the priesthood, and of course more about Jesus Christ, go here! Oh Kamille. I am so grateful for your testimony. I don't see how anyone could read this and not know of the truth of what you say. Not offensive :-) All perfectly accurate, sweetly and funnily put, and worded like a book! I love reading your blog and so often it reaffirms MY testimony. Thank you SO much for writing this!! Kamille, what a wonderful reply to the questions you've been asked. Like Marnie, I'm going to refer any questions I get to you! !